RealSoft Trading is a Complete Trading ERP Application, leading edge trading solutions and scheduling programs for the global trading industry. ERP software for trading companies in Dubai, UAE with ground-breaking scheduling program and document management system that maximizes productivity and saves time. Our Software dashboard scheduling system is an innovative program and our resource planning package replaces whiteboards and multiple spreadsheets with electronic whiteboards. RealSoft Trading ERP enables users to take appropriate decisions for the operations quickly and hassle-free. Customizable ERP Software for General Trading and Distribution companies in UAE. RealSoft Trading is a powerful industry vertical which is applicable for all kind of trading and service providing companies. Realsoft’s use of innovative technology allows us to build a suitable solution that combines ease of use with a robust tracking and scheduling tools that can meet the demands of any commercial trading firm and can be incorporated into the varied type of companies. Best fit software for small trading company in UAE. Our trading ERP software focuses on Logistics & Supply Chain, Apparel and Footwear, Food & Beverages, Building Material, Automotive & Spare Parts, Textile Management, Wholesale & Retail Management. 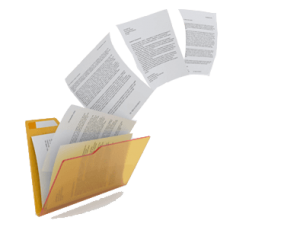 Document Inheritance is yet another powerful feature in CBS Document management. It enables user to work with documents conveniently even if it carries large volume of MIS information. This feature makes Coral Solutions simple and powerful. It saves users time by enabling them to create all the associated documents just in a click. And, this facility can help the company in completely eliminating the manual error which can occur when the details and figures are re entered. 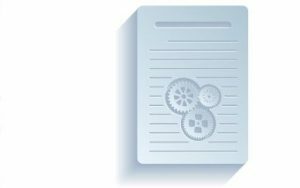 This allows you to delegate authority to different levels of users and to restrict access by different document authorization levels. It helps the company to follow a paperless approval system and assure the transparency across the departments. The organization can also setup its rules for receiving alerts & request for the approval when anything exceptional happens at the user level documents. It helps the managers to approve the documents even when they are away from office.